A group of about 50 Conservative backbenchers met on Tuesday night to discuss Theresa May’s leadership, with the gathering characterised as “open revolt”. One MP present revealed they will now be “shocked” if there is not a vote of confidence in the prime minister after the Tory conference at the end of this month. A handful of Tory MPs have publicly stated their discontent with Mrs May’s leadership, in the wake of her so-called Chequers plan for Brexit. Nadine Dorries is also among the prime minister’s fiercest critics, recently telling Sky News it is now the “end of the road” for Mrs May. The European Research Group (ERG) of Tory MPs are strident critics of the prime minister’s Brexit plan and are demanding Mrs May “chuck Chequers”. However, the official mantra of the ERG is that they want to “change the policy, not the person”, meaning they are likely to continue to support Mrs May – as long as she backs down over Brexit. 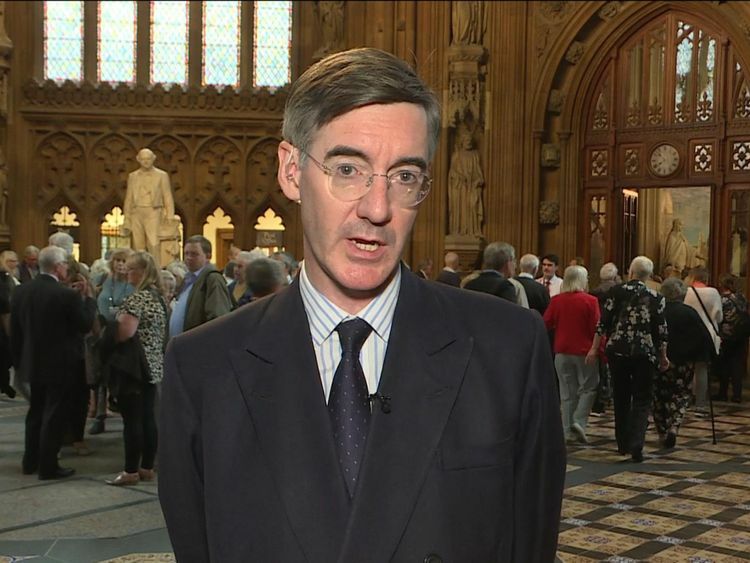 Sky News understands ERG chair Jacob Rees-Mogg was not present at Monday’s meeting where Mrs May’s leadership was discussed, even though former ERG leader Steve Baker chaired the meeting. Mr Baker recently claimed 80 Tory MPs would be willing to vote against Mrs May’s Chequers plan in the House of Commons. The ERG is partly publicly-funded as one of parliament’s “pooled services”. All the other main parties also have their own “pooled services” groups. 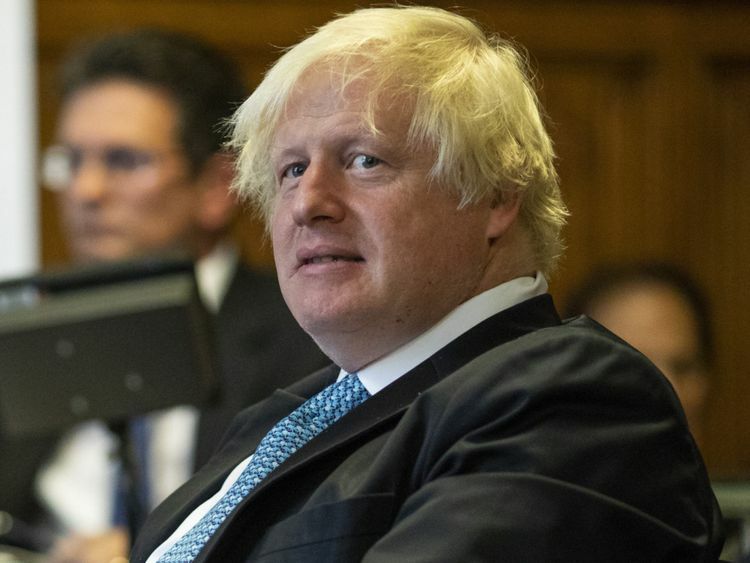 After quitting the government in protest at Mrs May’s Brexit strategy, the former foreign secretary has also widened his attacks on the prime minister to include domestic policy. 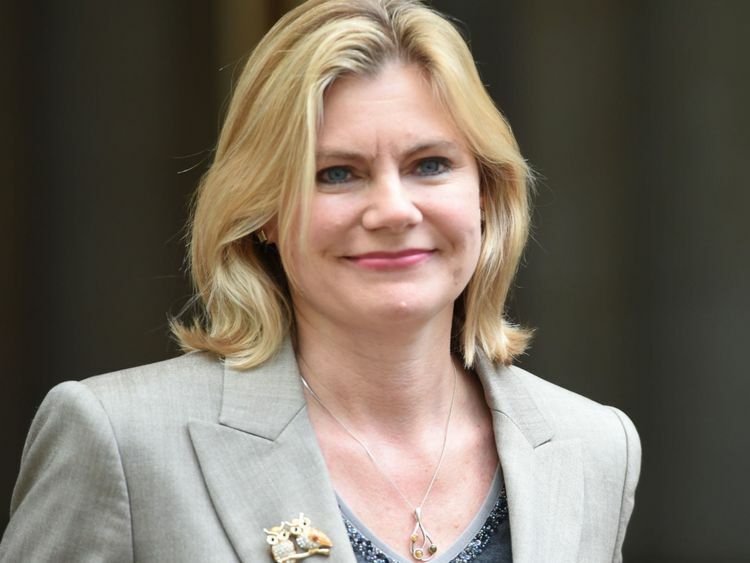 Tory Remainers are also unhappy with the Chequers plan, with MPs such as Justine Greening and Johnny Mercer describing the proposals as “the worst of all worlds”. Mrs May’s current ministers are bound to the Chequers deal under government collective responsibility and, therefore, are professing public loyalty to the prime minister. 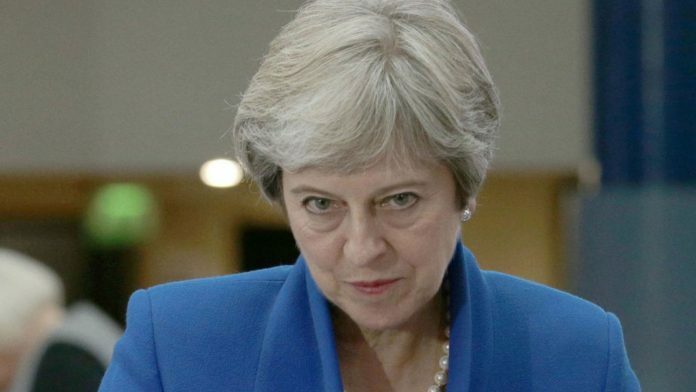 However, a number will no doubt be harbouring their own leadership ambitions, with Sky News being told ministers are privately confiding to backbenchers that Mrs May “has to go”. Of those currently serving in cabinet, Home Secretary Sajid Javid, Foreign Secretary Jeremy Hunt and Environment Secretary Michael Gove are among the bookies’ favourites to be the next Tory leader. 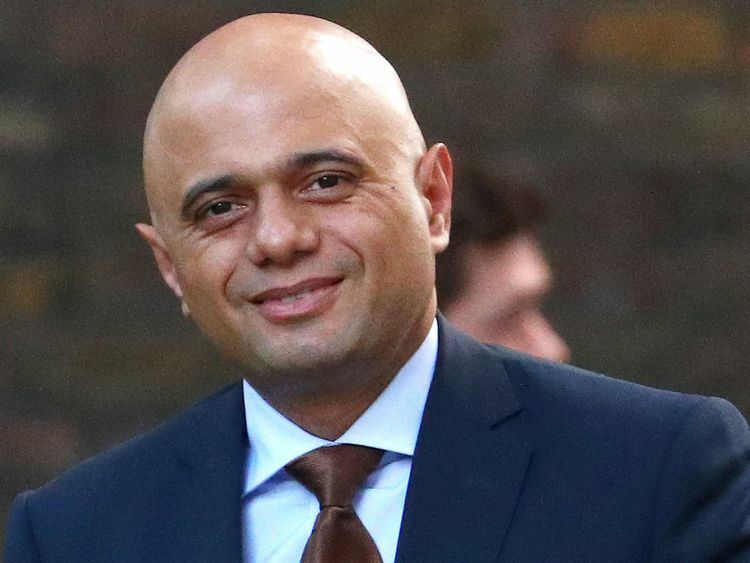 Since taking on his role at the Home Office, Mr Javid has shown little reluctance to disagree with the prime minister’s stance on a number of issues. Economic Secretary to the Treasury John Glen told Sky News on Wednesday: “The business of government goes on, we’ve got critical decisions to make in our negotiations in how to leave the EU and we’re getting on with the business of government.